Thomas Elroy Oberheim was born on 07/07/1936 in a low-income family in the state of Kansas in the small town of Manhattan, which main attraction is the Kansas State University. In July 1956 Thomas, on the advice of one of his friends, rushed to California, where he drove to in the old spooky car with ten dollars in his pocket. Cheapness of gasoline in those days allowed him to learn Los Angeles no worse than a professional taxi driver, searching for work he wasn’t beating his boots in the dustin vain. Tom settled into an aircraft building company, but in December 1956 he read an announcement about the recruitment of designers to a major technology company NCR (National Cash Register), which produced equipment for retail chains, banking and financial services, and was one of the first commercial enterprises to use computers. He was fond of electrical appliances from early school years, mastering radio units and other objects for himself and his family. And here he saw the computer gear, which in those days the average man knew nothing about. The large-sized machines of the late 1950s startled the boy, which became his obsession. During the ten years from 1959 to 1969, he managed to change seven companies, and found out that the school knowledge was clearly not enough for him, and it’s time for further education. After the decision was made, he entered the UCLA University of California, the physics faculty in the 1969, retaining his last part-time job. In the process of studying, Tom met with students of the music department, and later with the teachers who gave him a “welcome” to visit the acoustic laboratories, in which he faced theproblems concerning various aspects of electronic music. His new friends keyboard player Joseph Byrd and vocalist Dorothy Moskowitz-Falarski of the United States Of America band dragged him to their concerts and jams. Oberheim was intrigued by the musical side of the electronics industry. The abovementioned band, not having found a consensus between the musicians and having released a disastrous album, decided to stop performing. One of its members took away the ring modulator when leaving the band, and the newly gathered Byrd band had no opportunity to find a new one. That’s how Tom got his first order. Ring modulator is a special electronic circuit for sound processing, which comprises a ring of four diodes for analog products of that time, but Tom had no idea about ring modulators. In the university library, he found an article written by a German engineer, one of the founders of electronic music and the recognized inventor of this effect, Harald Bode, with a detailed description of the device. Bode also developed new inventions thanks to Vladimir Ussachevsky’scentre – “Bode Ring Modulator” and a “Bode Frequency Shifter” modulator patented by Bode Sound Co, and used by Bob Moog in his synths with no license violation of course. Oberheim was impressed. Then Tom created the first ring modulator in the form of a guitar pedal. Assembled independently, the first units were sold quickly among musicians. Well-known Hollywood film composer Leonard Rosenman wanted to use the ring modulator when recording music for the film “Beneath the Planet of the Apes” (1970), and said that to Oberheim. Showing the capabilities of the modulator in action at the 20th Century Fox studio, he immediately received another order for the “machine”. However, among those who were burning with desire to get the full box of effects were Chick Corea, Herbie Hancock and Keith Jarrett for their Rhodes electric pianos. The trumpeter-avant-gardist Donald Johnson Ellis was in the number of those willing as well. Both ring modulators and phasers, produced under the Maestro trademark and already considered to be the cult ones, were still assembled(up to fifty devices a day) in Thomas’s home workshop. He shared his memories of those times telling that it would be an incredible boring routine if everything were just about assembling and shipping of the devices, but when you do this business, and people like Herbie Hancock or Jan Hammer call you and say to you: “Tom, we fell in love with your phaser!”, then you get powered with energy ready to work 24/7. After visiting the NAMM show in 1971, in particular the ARP pavilion with ARP2500 and ARP2600 synthesizers, Tom just fell in love with 2600th and offered the company to become their dealer. After a while, Oberheim became almost the only ARP dealer on the West Coast. In 1973 he established Oberheim Electronics company. In spring of 1974 Oberheim met Dave Rossum, a microbiologist, who used to likemaking his own synthesizers. Having issued a patent for Tom’s new scheme, the entrepreneurs formed an agreement on the production and sharing of profits. Many famous personalities of the time took part in their design development. However, at that time, Tom created some more innovative products, including DS-2 (one of the first music sequencers) and Synthesizer Expansion Module (SEM). The first commercially available polyphonic synthesizers: “Oberheim TVS-1” is a two-voice one, and in November 1975 the world’s first commercial polyphonic four-voice synthesizer – Oberheim Four-Voice “FVS-1”, which had four two-oscillator SEM modules, each with its own filter and envelope generator, the simple analog mixer, and a 49-note keyboard with digital voice scanning – this meant a quality breakthrough in the synthesizer industry: each voice was generated by two oscillators, and had its own filter, envelope generator and amplifier, i.e. had its own timbre and customization, and the four voices, music, tunescould sound and evolve simultaneously. Back then in 1976, apart from the fabulously expensive and huge Yamaha GX-1, and the modular E-mu systems, as much unique, expensive and huge, FVS-1 simply had no competitors on the market. The eight-voice synthesizer – four voice structures with external 4 modules – was based on the SEM-configuration. SEM consisted of two oscillators generating a sawtooth and a pulsing wave, LFO, a bipolar multimode (low-pass, band, high-pass, notch) filter (12 dB/oct) having its own ASR envelope and an amplifier with its dedicated envelope. Machines with eight voices and four voices included elementary programming, capable of memorizing sound settings. Further Oberheim synthesizers OB-X and OB-Xa were equipped with a relatively large SEM opting for separate voice cards, conventional music cabinets and amplifiers. Oberheim continued to make synthesizers until the late 1980s. Other well-known Oberheim synthesizers include OB-1 (monophonic), OB-8, Xpander, Matrix-6, Matrix-12, and Matrix 1000. “Gibson Guitar Corporation” bought Oberheim company in 1986. And one of the last analog synthesizers of the company – OB-Mx was designed by no one else but Don Buchla himself, who later renounced it due to unsuccessful filters. Moreover, it was the last authentically designed synthesizer by Don Buchla. 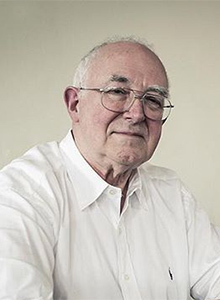 Tom Oberheim had nothing to do with OB-Mx. Nevertheless, OB-Mx was branded Oberheim and had some pluses – the sound inherent in Oberheim instrument and the possibility of upgrading via expansion cards (a single card contains oscillators, LFO, EG). The Oberheim trademark was later licensed by Viscount International, an Italian digital organ manufacturer. “Viscount Int” launched digital synthesizer Oberheim OB12, guitar GM DSP 1000 with a lot of effects, MC line, and OB3, a portable and inexpensive imitation of the popular Hammond series of organs. Drum machine Oberheim “DMX” was the №1 product among the early hip-hop music acts. Tom Oberheim announced the release of two new additions to the resurrected SEM synth analogue. The first device, called SEM-PRO, includes 21 mini-jacks for receiving CV signals. The second device, an amazing SO4V – “Son of Four Voices”. Many of us remember exactly this tandem – SEM-PRO plus SO4V. In addition, the device is made in the old good style of the 70’s, which brings sweet nostalgia. “Son of four voices” took all the bells and whistles of the 70’s from SEM: 100% discrete modeling device, and no extra custom chips. SO4V can be used as a four-voice polyphonic synthesizer or as 4 separate synthesizers with a MIDI interface. In addition, if you combine two SO4V together you can increase the number of “voices” to eight. Polyphonic Voice Control and the software sector embraced all the technical characteristics of the original four-voice voice programming and the keyboard control module, as well as many other “must have” gadgets… Each SO4V comes with a copy of Oberheim’s signature.